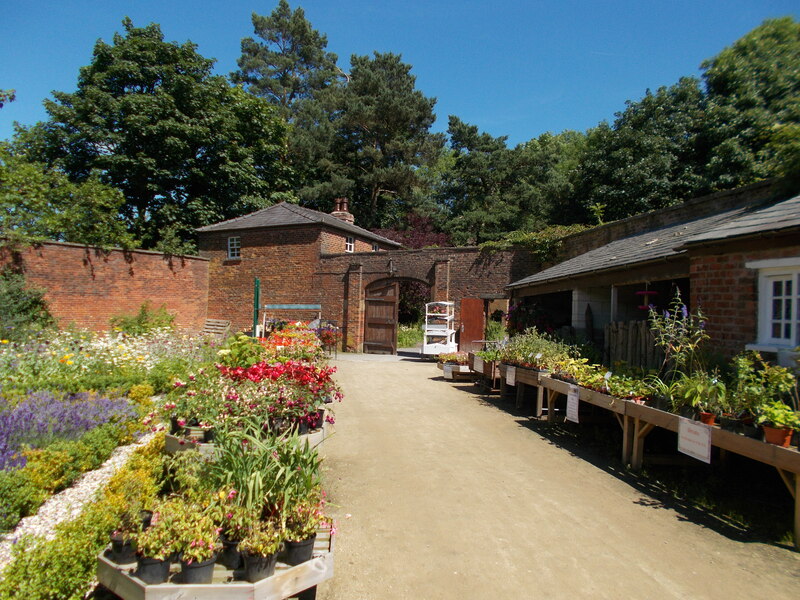 Worden Park’s Walled Garden was built in 1777 as the kitchen garden for Worden Hall. 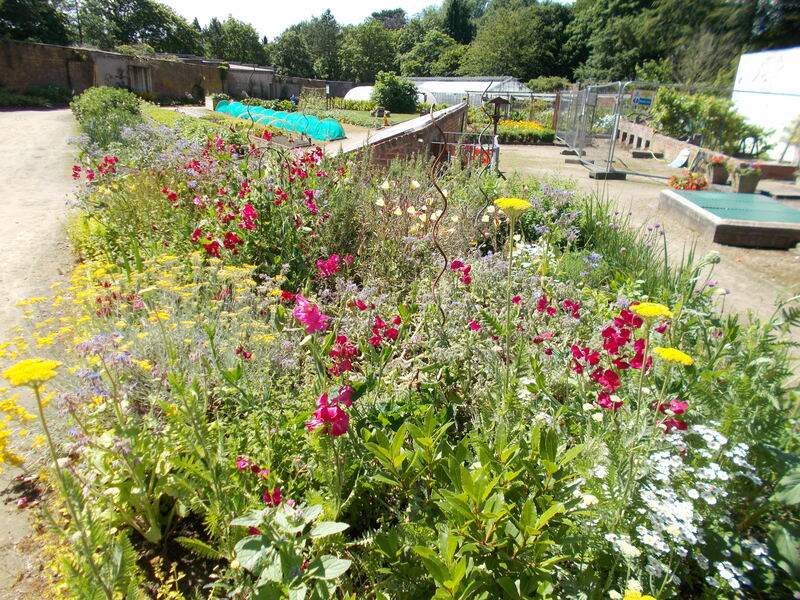 It was used to grow vegetables, fruit and flowers for the owners, the Farington family. Designed to be a show piece for visitors to the house, it is now a Grade II listed site. It contains many original Georgian and Victorian features such as the Vine and Fern Houses, a Melon Pit, extensive potting sheds and the Bothy House. The unusual trapezoidal shape of the garden was designed to maximize the amount of sunlight reaching the plants each day. Stoves and flue pipes built into the perimeter brick work allowed some of the walls to be heated to encourage plant growth. These features meant that even exotic fruits like peaches and nectarines could be grown in our Lancashire climate. Originally there were three potting sheds, but these have been much modified and extended over the years. An old Ordinance Survey map shows some may have been changed in Victorian times to have a glass roof and wall stove for a heated wall, suggesting they had been converted for growing plants. The original old sink for washing plant pots is still present and the availability to use hot water would have made this a much easier job. The Vine House is south facing and had a tall, lean-to design to get the most sunlight possible. Vines thrive best with their branches hot while their roots are cool, and the spaces for the root-stock can still be seen in the brick work today. The oldest vine in the house is a Black Hamburg which is around 100 years old. It is thought to be a descendent from the original one at Hampton Court Palace. There is a Hot House extension connected to the Vine House. The heat from the pipes in this would be very dry, so to increase humidity there were open heated water tanks and water could also be thrown onto the hot pipes to produce steam. Currently the Vine and Hot Houses are missing their windows and roof and await further funds to be repaired in the future. 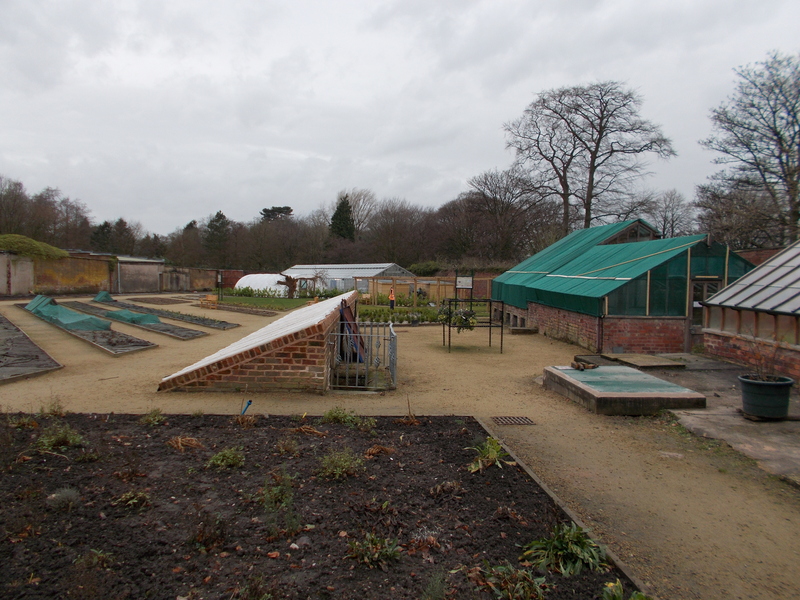 The Victorian Melon Pit is a long low glazed structure again designed to maximize the amount of light and heat the plants needed. It has a single sloped roof on a west to east axis. The glass and surrounding frame can be removed to allow access to the plants. Part of the structure is underground and steps lead down at the back of it to a narrow passage that runs along underneath. The external part of the Melon Pit has been restored but the inner part awaits further funds before melons can be grown here again. The Fern House is a long greenhouse. There was a Victorian craze for ferns but while ferns grew well in dark Victorian drawing rooms they were sensitive to pollution, so couldn’t be easily grown outside as they might be now. 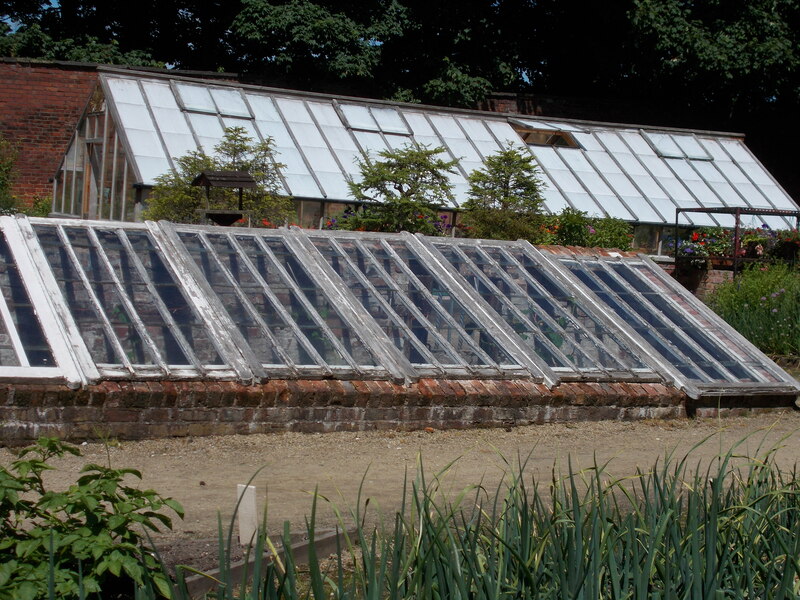 Today this greenhouse is still used to grow plants for the garden and to sell to the public. 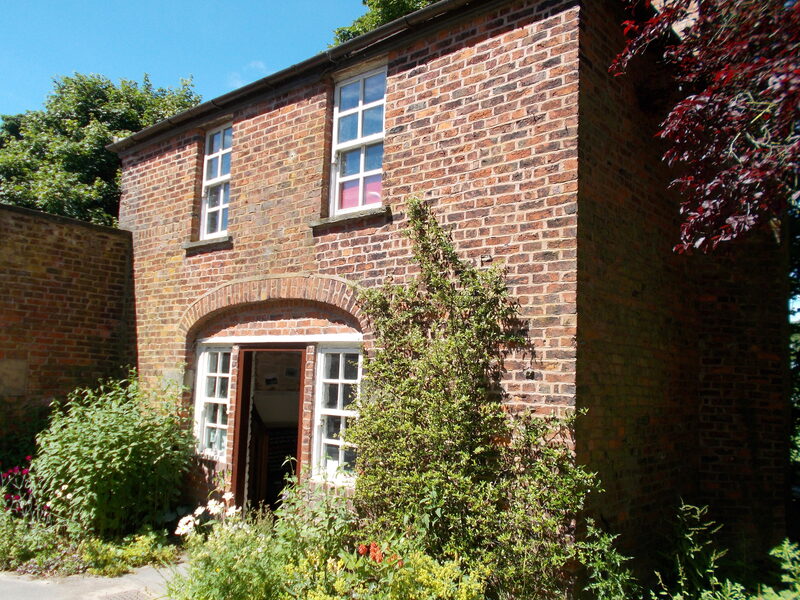 Connected to the outside of the walled garden is a small red brick house called The Bothy. This provided accommodation for the apprentice and journeymen gardeners. Although there is only a single room both downstairs and upstairs there would have been several people living there at any one time. Being onsite enabled the gardeners to tend to the boiler to keep it going during the night, to ensure the hot houses remained warm. The building was restored in 2013 and is now open to the public so you can get a sense of what it was like for those living here. Original features such as the fire place, wooden ceiling beams and internal walls made from lath, hair and lime can be viewed. When the grounds of the Worden Estate were bought by the local council in the 1950s and opened up to the local people, the gates to the walled garden remained firmly closed. At first the council used the garden to grow display plants for the locality, but over time this use fell away and the garden became dilipidated. In 2006 the Brothers of Charity Service became involved with the South Ribble Partnership and began to restore the site. In 2012 they secured a grant from the Veolia Environmental Trust to begin repair of the buildings and full restoration of the garden. It has come a long way since then, as the picture on the left shows. Now it is open to all the public for free and is run as part of the Brothers of Charity Service Social Enterprises. To learn more about what they do see their website here. As well as the repairs to the above mentioned buildings, a huge amount of planting has taken place. Four flower beds have been filled with the plants that were popular at different historical times. There is a pre 1700 bed, a 1700-1800, 1800-1900 and a post 1900 one. This was done with the collaboration of Myerscough College and the interpretative boards by the beds offer a guide to the plant species. The garden also features a 150 year old mulberry tree that still produces fruit. Apple trees of local Lancashire varieties have been planted against the perimeter walls- for example Lord Suffield is a cooking apple raised by Thomas Thorpe, a Victorian Middleton weaver. There are interesting plants to buy too and if no staff are on site, just use the honesty box. If you would like to know more about the history of Worden Hall and the Farington family, then see our post here. 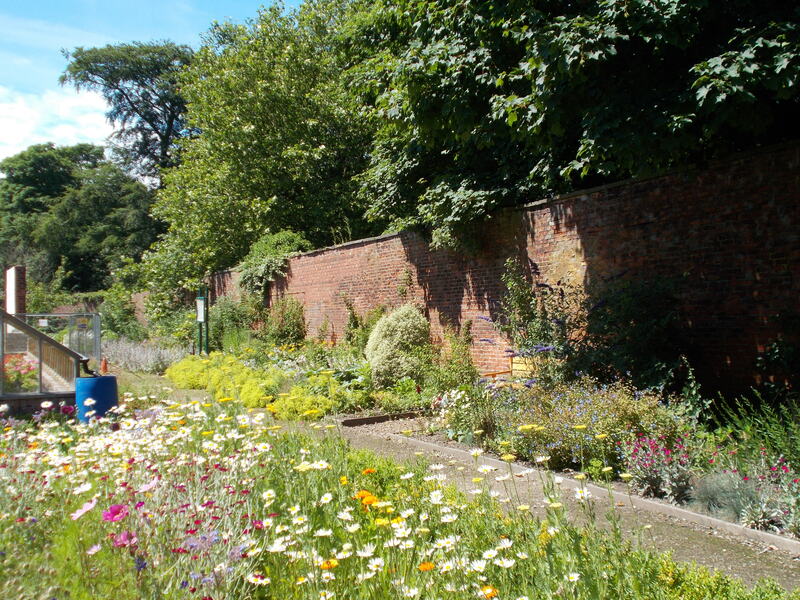 Worden Park Walled Garden is free to visit and open every day of the week. See the website to check for times here. Parking at Worden Park is free- see the council website for it here. Nearby, just a short walk away Worden Hall, and Icehouse and folly arch. On site interpretation: Most of the historical information for this post is taken from the on site interpretation boards provided by Brothers of Charity.